How do. In recent times I’ve finally got into the swing of reading other beer and pub blogs. And there’s some good stuff out there. 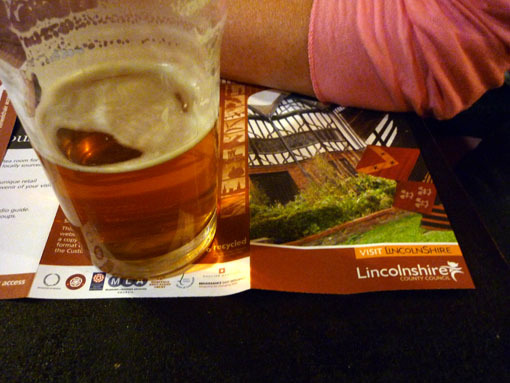 This week I have mostly been enjoying RealAleBlog and A FemAle View. Sadly, I somehow managed not to get a listen of the ‘Future of the British pub’ podcast that everyone was talking about online a few days ago. Was it any good? I really ought to put aside 24 minutes and 40 seconds to give it a spin. Meanwhile a Tory minister called Grant Shapps has blamed Labour for the all the pub closures of the last few years. While the last government could have done more to help struggling pubs, this seems a bit rich to me. The Tories, as we saw the other week, have just pulled the funding, introduced by the last government, from the admirable Pub is the Hub scheme (which saved the lovely Sycamore Inn in Parwich, Derbyshire, among others). And wasn’t this the party whose botched legislation in the 1980s caused the rise of the pubcos? Many would argue that this did more damage to pubs than any number of super-cheap supermarket Tennent’s Super offers. As if that weren’t enough, Shapps fatally undermines his own credibility with this nugget: “The only people they helped were the yobs who benefited from 24-hour licensing laws which fuelled a surge in alcohol-fuelled violence in our high streets.” No, they didn’t. 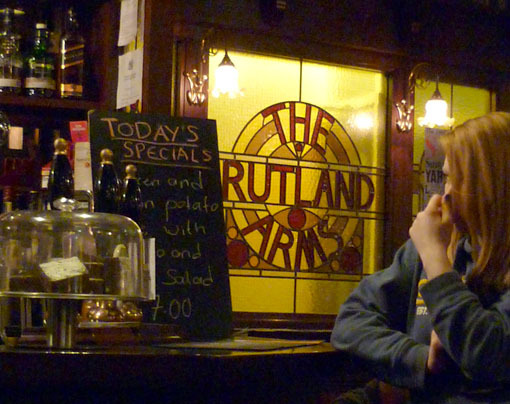 So, to the week’s pubbing, and one of the very many boozers that doesn’t contribute to alcohol-fuelled violence in our high streets is the excellent Rutland Arms in Sheffield. On Thursday night it feels just right for a pub quiz. There are just the right number of people, just the right mix of people and just the right atmosphere. And one half of the question-setting team is one of my best friends. Not that this proves to help in any way, as it turns out: Cara is entirely incorruptible and my team crashes comfortably to defeat. Having been vaguely pondering a career change, I chat about beer-making with Cara’s partner in question-setting tonight, Richard Hough. Richard, who has just established the brand new Blue Bee Brewery with the Rutland’s manager Andy Stephens, was a brewer with the Abbeydale people for quite a few years. Tonight he frightens the bejesus out of me with talk of 10-hour days and lugging heavy sacks about. Still, you never know. Elvis didn’t pick up a guitar until he was 45. In Cleethorpes for the weekend, I nip out for a pint on Sunday night with my girlfriend and some of my family. Sunday nights during bank holiday weekends seem to have changed recently. They used to be as quiet and tentative as any other Sunday night of the year. Now they’re a rowdy, rambunctious festival of hedonism which makes a wild weekend in the fleshpots of Newcastle look like a Tuesday afternoon tea dance at Horsham Women’s Institute. Here at the Kings Royal, on Cleethorpes seafront, it’s not quite as deranged as all that. But it’s easily the busiest I’ve ever seen it. There’s been live music on all day, and the presence of rock and roll has meant a general loosening of collars and tongues. Beer may also be implicated, I imagine. A coolish-looking bloke in his mid-20s saunters past our table. “That bloke’s just gone in the women’s toilets!” observes my mum shortly afterwards. “Let’s watch his face when he comes out!” I urge everyone at the table. We’re not the only ones who’ve noticed: when the poor sod emerges gingerly a few seconds later, three packed tables of drinkers are ready and waiting to offer applause and loud vocal commiseration for his plight. A woman we don’t know stops by at our table to discuss the issue further. I imagine documentaries about the event are being filmed by Channels 4 and 5 even as we speak. Then, past our table walk a pink-faced, middle-aged man and woman in loud, drunken conversation. “How you doing, anyway?” asks the man. “Do they call me Dennis?” grins the woman. I’d give anything to know what the stuffing heck she’s on about. Are you sure it wasn’t ‘Do they call me, Dennis?’? Quite sure. I did wonder at one point whether she was just reeling off the tracklisting of a Blondie album. But when I looked out of the window, the tide actually was high.